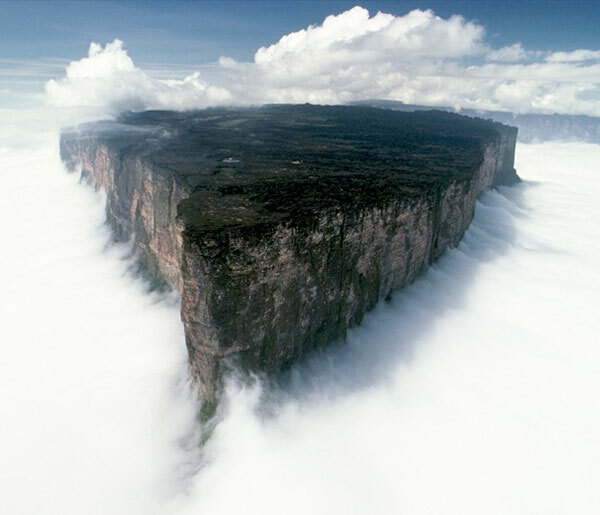 Mount Roraima is the highest of the Pakaraima chain of tepui plateau in South America.First described by the English explorer Sir Walter Raleigh in 1596, its 31 km2 summit area is defended by 400-metre-tall cliffs on all sides. The mountain includes the triple border point of Venezuela,Brazil andGuyana. Mount Roraima lies on the Guiana Shield in the southeastern corner ofVenezuela's 30000 km2 Canaima National Park forming the highest peak ofGuyana's Highland Range. The tabletop mountains of the park are considered some of the oldest geological formations on Earth, dating back to some two billion years ago in the Precambrian Era.